One focal from a Cunningham & Pickett china plate. 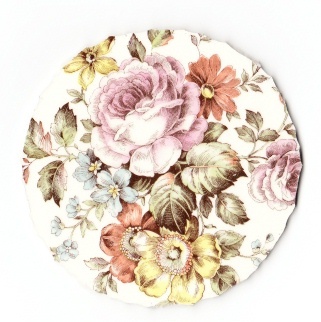 Pink rose, orange & yellow & blue flowers, green leaves on off-white china. No discoloration, minimal crazing, lays flat.